Charles Waldo Haskins was a pre-eminent pioneer in the field of accounting. But he was so much more. His credits abound in such areas as: creating the nation’s first Certified Public Accounting legislation, establishing the accounting firm of Haskins and Sells, and the founding and deanship of this great university’s school of business. These contributions to financial accounting and the Academy are only a few of his multiple noteworthy accomplishments. Thus receiving an award given in his name is an ennobling accolade that I am proudly honored to receive. Sixty years ago I enrolled as a graduate student in the Department of Economics at the University of Chicago. Among my professors were Nobel prize winners such as Milton Friedman, Gary Becker, and Theodore Schultz, for whom I was research assistant for four years. My doctorate was a symbol of the school’s brand of economic and monetary theory, of the then new econometric analysis, and of dedication to empirical research. But I did not become a Friedman “acolyte” promoting the goals and efficiencies of the free market. Instead, I joined a very small, but distinguished group: The “CBCBCRAEA”—the city born, city bred, city raised, agricultural economics association. Membership is strictly limited to economists who never lived on a farm, never worked on a farm, and never studied agriculture—but we brashly did study and do research on the economics of agriculture. This principle is the key to a major crisis facing U.S. higher education today. Since public higher education enrolls some 75 percent of all students in the United States, let me begin with that sector. Since I began working in higher education roughly 50 years ago there have been dramatic changes and declines in the levels and sources of its financial support. For example, when I arrived at Michigan State University, student tuition covered one-third the costs of the university and two-thirds came from state and federal sources. Today, those ratios have exactly reversed. Private universities are not immune due to their dependence upon Federal funds, especially for research. Ten of the 20 largest recipients of Federal grants are private universities. One reason for the crisis is the public’s growing rejection of the value of education for the improvement of society and the individual. Over time there has been a dramatic shift in society’s understanding of the purpose and goals of higher education. Increasingly, higher education’s primary goal is seen as preparation for a specific job, not the nurture and growth of a broader human competence. Job outcomes after graduation are becoming the dominant criterion of the value of higher education. This utilitarian trend is having a serious destructive impact upon the “humanizing” areas—the arts, philosophy, theater, music, history, humanities, foreign languages. The “Liberal Arts” may soon be an endangered species. A second reason has been a growth in our society of anti-science and anti-knowledge views. The “scientific method of inquiry,” which for centuries has been the central foundation for the increase in human knowledge, is being steadily eroded. Attacks by burgeoning ideological or religious fundamentalism has led to political pressure upon course content and curriculum choice, even faculty selection. (Dare I mention the continuing fight over teaching evolution and the denial of global warming? Or the recent Congressional legislation to stop funding university political science research?) These views are gradually becoming the basis for justifying inadequate tax support. A third related negative factor has been a shifting of cost responsibilities, thereby producing ever higher tuition levels for students and their families. The result has been a reduction in educational access for low-income-sector potential students and an increase in the economic burden placed upon middle-income families, not to mention the larger loan debt levels for the graduates themselves. The effects of these negative forces upon educational opportunity in turn impact future human capital growth. Keep in mind recent studies reveal that “A child born into a family in the highest quartile of income (in the U.S.) has a roughly 85 percent chance of earning a college degree. A child born into a family in the lowest quartile of income has a less than 8 percent chance of earning a degree.”1 This is a huge national loss of future human capital. These are the major underlying forces producing a steady erosion in the priorities and levels of support for higher education. These same three forces are also being felt by the private colleges and universities, especially through Federal dollars. For example, in 2011 three out of five of the largest recipients of Federal National Institutes of Health grants were private universities. In the top 20 Federal funding of R & D, every public University of Washington is matched by a private Johns Hopkins University. These destructive trends have spawned disinvestment in the underlying foundation of colleges and universities, public and private. The long-run impact upon the pursuit of excellence and the strengthening of core disciplines is causing a devastating decline in the central institutions for our nation’s future growth and development. This path is weakening and destroying the fundamental strength which historically has made higher education so successful in our nation. The “scientific method of inquiry,” which for centuries has been the central foundation for the increase in human knowledge, is being steadily eroded. Higher education is an investment in human capital—both through the students who are served and the scholars whose research expands the knowledge base of our society. It is the basis for the growth of our national human capital. 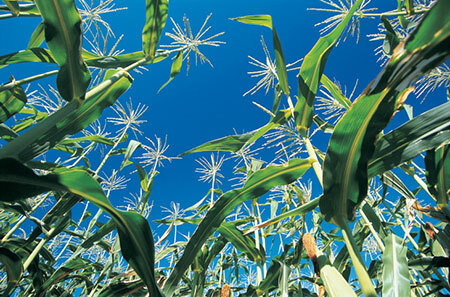 The public and private institutions of higher education represent our nation’s “seed corn” for our future. We eat it at our peril. There are countless other challenges assailing higher education, such as the escalating expenditures on big time athletics, that are dramatically outpacing those for basic academic functions,2 or the challenges faced by the explosive new fad of MOOCs (Massive Online Open Courses).3 Despite all these problems, I am optimistic that my former colleagues— whether trustees, presidents, faculty, alumni, or donors—are fully capable of overcoming these challenges. Best of all, I am certain that their commitment to the academic enterprise and their wisdom will lead to stronger and greater future human capital. As the largest private university in the country with its outstanding record of success, I am confident that NYU will make a major contribution. Let me close by reflecting a moment on the competition between universities over which one is best. The problem is very acute if the alumnus has graduated from several universities—in my case three. Three economics professors were in an airplane that fatally crashed. They arrived in Heaven to face God sitting on her great white throne. God then addresses the second professor. “What do you believe in? 1 William E. Kirwan, “The Completion Imperative: Harnessing Change to Meet our Responsibilities,” 2013 Atwell Lecture, American Council on Education 95th Annual Meeting, March 3, 2013. 2 Knight Commission on Intercollegiate Athletics, “Restoring the Balance: Dollars, Values, and the Future of College Sports” June 17, 2010. 3 Nick Anderson, “More universities try the MOOC model by moving professors’ lectures on line,” Washington Post, February 25, 2013.